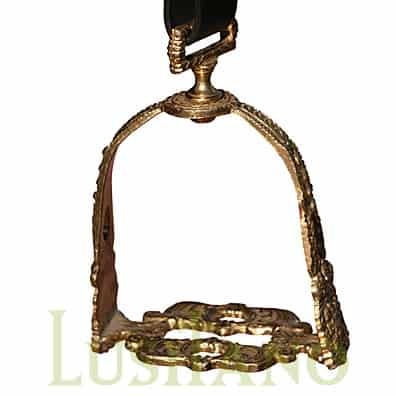 Stirrups, in plural as usually they are in pairs one for each rider foot, are an aid in mounting. Stirrup leathers are the straps that attach the stirrups to the saddle. Stirrup keepers are small straps to hold stirrups when training the horse without a rider. 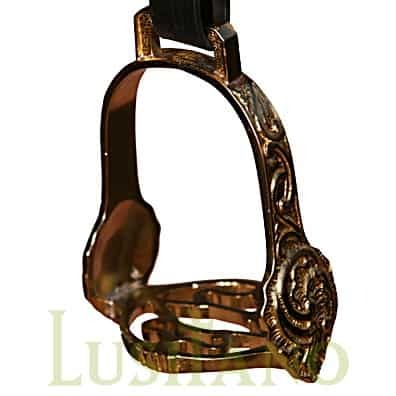 We have a variety of models on offer such as traditional Portuguese stirrups as well as several other models including armored stirrups and Baroque stirrups.